• Full 5 watts FM 144/430 MHz. • GPS unit included with radio! • Water spray resistant - meets IPX5 - 3 feet for minimum of 30 minutes. 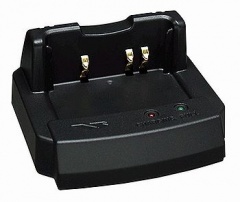 • 7.4 V 1100 mAh Lithium Ion battery included. 1800 mAh LI Battery & 3 x AA battery case optional. • Weather receiving with Weather Alert. • Dot matrix LCD display provides up to 16 character Memory tags, High-resolution Spectrum Analyzer with ±50 channels indication, Wave monitoring of received/modulated signal. • DCS and CTCSS ENC/DEC included. 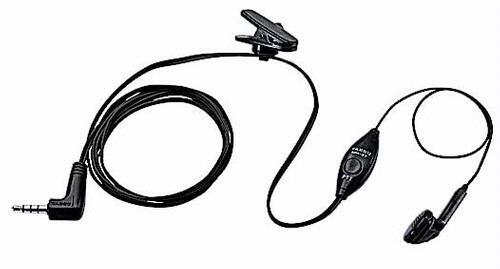 • APRS® 1200/9600 bps data communication (B band only). • Smart Beaconing ™ Function: When using APRS® for position tracking, the beacon timing is automatically adjusted to your traveling speed and location to plot a smoother trace to match your position and movement on a map. • The number of Station List memories increased to 50. • The number of APRS Message memories increased to 30. • DIGI-PATH route indication function: The APRS® Packet data includes Digipeater routing info. • Heads up compass display to the GPS Screen: Traveling direction is always toward top of the display. • The Message received LED flashing rate is selectable. • The number of DIGI-PATH route settings is increased to 7. 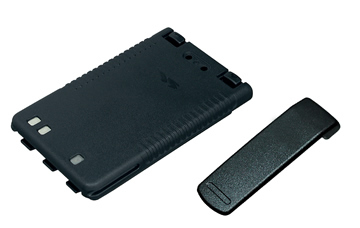 The VX-8GR APRS®/GPS Handheld Transceiver is a Dual Band version of the VX-8DR. The VX-8GR includes most of of the solid features and specifications found in the VX-8DR, plus a built in GPS and new expanded APRS® capabilities to meet the needs of even the most active APRS® user. 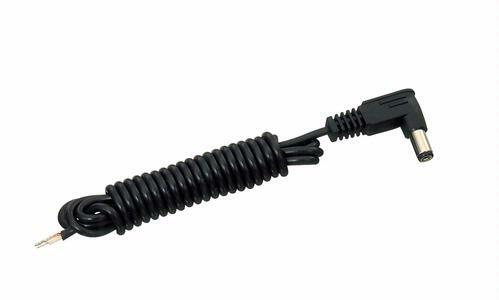 Measures a mere 2.4"W x 3.7"H x 01.9"D without knob and antenna for comfortable in the palm use. Ultra rugged polycarbonate resin front panel with aluminum die-cast chassis. Fully ruggedized and waterproof to meet IPX5 design. Perfect for extreme sports and outdoor use. Enjoy up to 5 hours operation on 144/430 MHz with the supplied FNB-101LI Lithium-ion Battery. The optional FNB-102LI High Capacity Lithium-ion Battery will provide up to 8.5 hours on 144 MHz and 8 hours on 430 MHz. GPS and Data Terminal included with radio. The large LCD Display shows everything needed for your advanced operations, including the main and sub-band frequencies, operating mode and S-meters. It is very easy to scroll through the set menu items to check the previous settings and make new selections as well. 108 MHz - 999.9000 MHz (A band). In addition to Amateur Radio, listen to aircraft, public service channels, etc. US Cell frequencies are blocked. With two independant Amateur band recievers, listen to either the same or different bands simultaneously. APRS ® allows you to communicate your location to other APRS® stations with your location, speed, and heading displayed on your radio! The VX-8GR supports 1200/9600bps APRS ® data communications (B band only). Access the worldwide standard APRS® system to exchange your positions and messages. When you receive signals and information from other APRS stations, the VX-8DR displays their positions, heading directions, messages, distances, icons (43 available), weather information, object etc. When using APRS® for position tracking, the beacon timing is automatically adjusted to your traveling speed and location to plot a smoother trace to match your position and movement on a map. SmartBeaconing™ from HamHUD Nichetronix is able to modify its own beacon rate in response to the motion of the vehicle that carries. Since the APRS network has limited bandwidth, SmartBeaconing™ transmits an optimal amount of position information with a minimal amount of QRM to other network users - making VX-8DR users some of the most "efficient" on the network. External Data Jack included for other data communications. The built-in CTCSS/DCS encode/decode capability enables selective call features for the A and B Band individually. 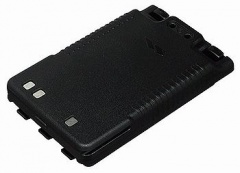 Place a call to an individual member of your group using the VX-8GR Enhanced Paging Code System. 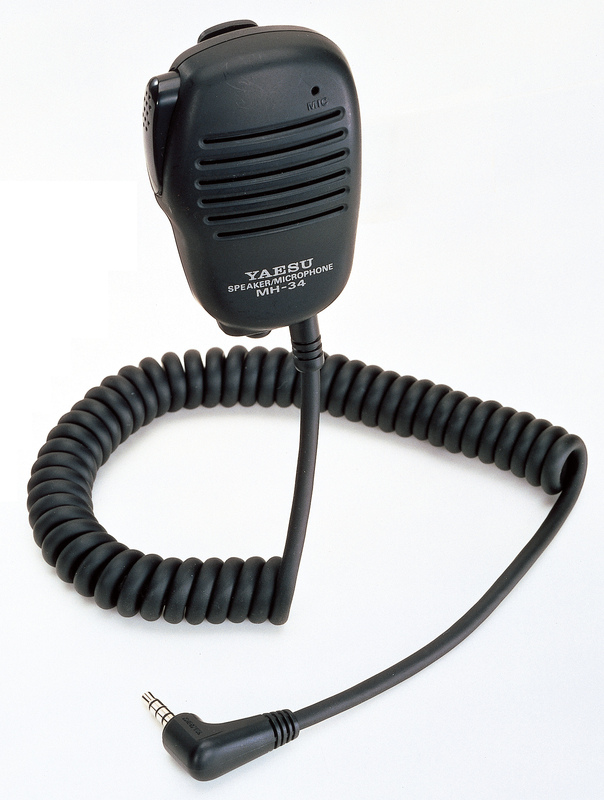 Includes Yaesu's original Auto-Ranging Transponding System ( ARTS ) that provides audio and/or visual confirmation that another ARTS-equipped station is within communication range. Chose a Vibrate Pattern from three styles to give an alert signal on message and bell ringer reception. Access to WIRES-II Internet Linking System DTMF fucntion. Practice copying the Morse code with your VX-8GR.